I took these photographs using a Sony RX0 and I must admit that I was not too happy about the noise in the images. The street is named after John Fane, 10th Earl of Westmorland, who was Lord Lieutenant of Ireland from 1789 to 1794. 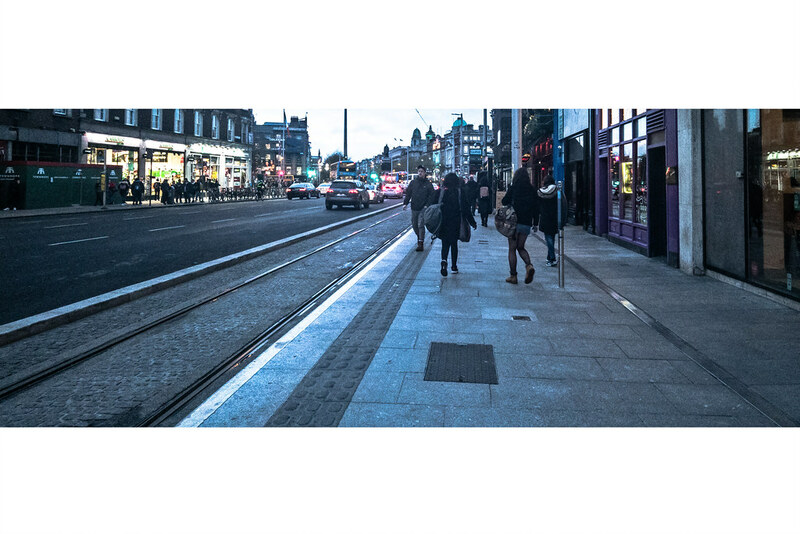 It is one of the two broad avenues - along with D'Olier Street - that converge at their northern ends at O'Connell Bridge over the River Liffey. Westmoreland Street links the bridge to Trinity College at College Green at its southern end, from where traffic diverges between Grafton Street to the south and Dame Street to the west. 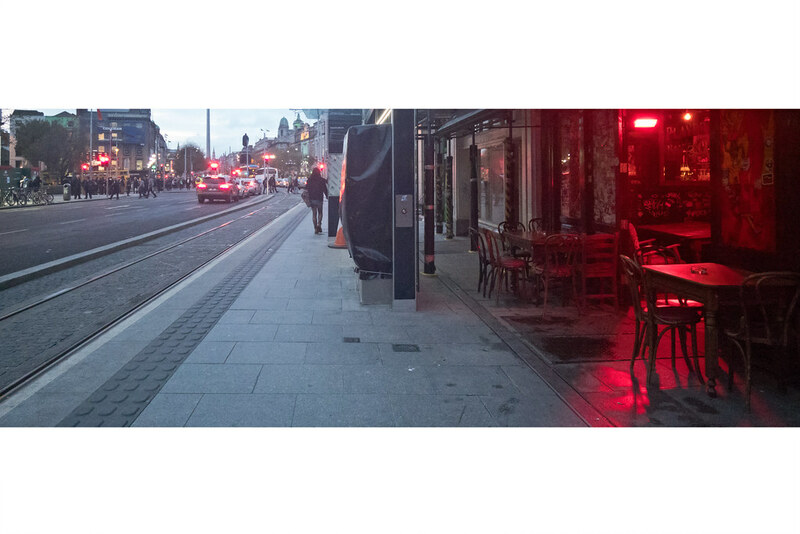 Westmoreland Street also constitutes the eastern border of Temple Bar. 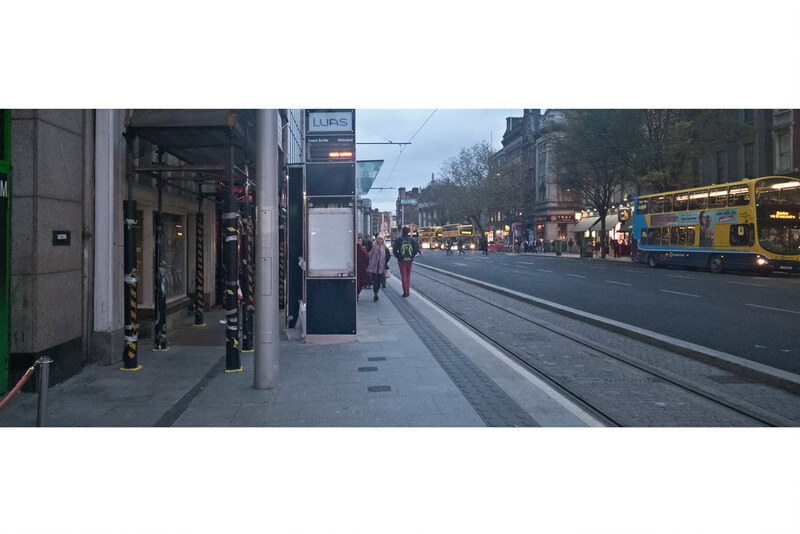 Westmoreland street will have a stop on the Luas Cross City line (northbound only). This line will link the Red and Green lines and go from Broombridge in North Dublin (interchange with Irish Rail station) and St.Stephen's Green present Green Line stop. Construction started in June 2013 with services are due to begin on the 9th. of December 2017.